Telling your story in an artistic and long lasting way requires dedication to you, our craft and quality materials. In addition to our rigorous quality control standards, each memorial we install passes through each of 19 steps in our Story Telling Process. Our designers work with you to determine the story for the monument. We refine the design and produce a rendering of what the monument will look like. 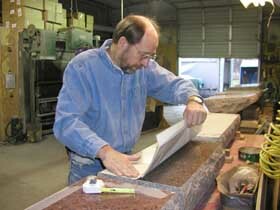 The Memorial Grade granite that was chosen is shaped and finished to our exacting specifications. 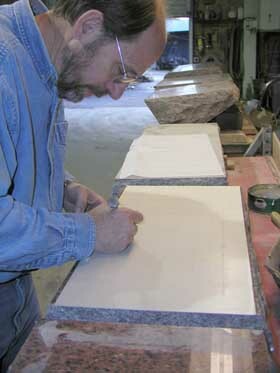 Once the rendering is approved, our stencil cutting system, with fine precision, cuts the stencil for the monument. The stencil is then checked for imperfections in the cutting. 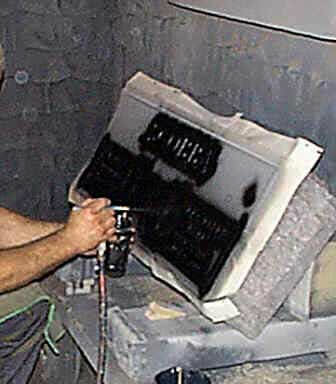 Our expert craftsmen carefully place the stencil on the monument. 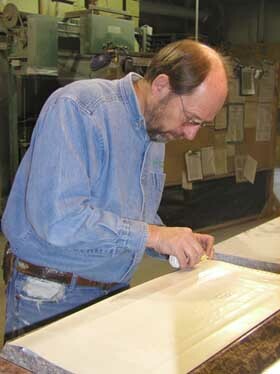 Our craftsmen expose the areas of the monument for texturing. Once texturing is complete, engraving occurs with our automatic sandblast unit that ensures a consistent depth and look to all the lines and text. A long lasting contrasting agent is applied to the lines and text to aid in its visibility. 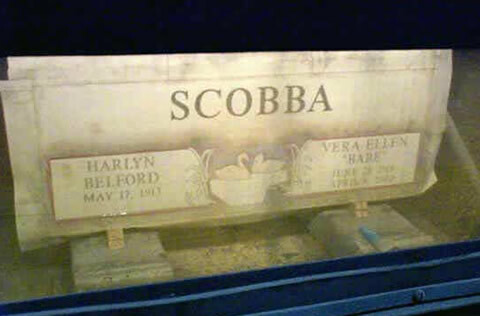 The stencil is removed and the monument is cleaned. Our craftsmen then meticulously inspect the monument making sure it meets our high standards of monument excellence. For those monuments using a concrete instead of a granite foundation, those are formed using our exclusive process and poured with steel reinforcement to ensure a long lasting and stable foundation. Once cured, the foundations are carefully removed from their forms and thoroughly detailed removing any sharp edges and cleaned to provide a suitable foundation for the monument. 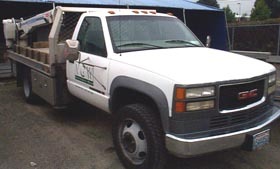 Our expert installers then load our installation truck with your permanent story along with other’s going to cemeteries in that area. Once at the cemetery we excavate the area for the foundation, making sure the monument does not rock, is in line with other monuments in the row and looks aesthetically pleasing. The monument is affixed to the foundation using a high grade, all weather construction strength adhesive. For taller monuments, steel pins are sunk into the foundation for added stability. 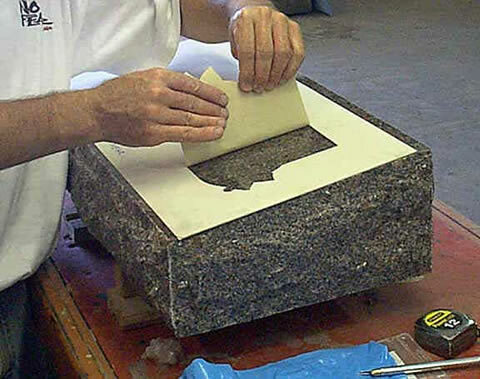 Monuments on granite bases are set on plastic cushions and are bonded to the base using a two-part epoxy created by the industry to bind granite to granite. We then use putty to seal the monument to its base. We clean the monument, making sure there is no dirt on the monument or foundation and the surrounding grass is swept removing any dirt debris. 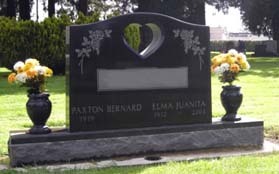 We photograph your work of art and redecorate the grave with any flowers we had to move and then notify you of your monument’s completion. 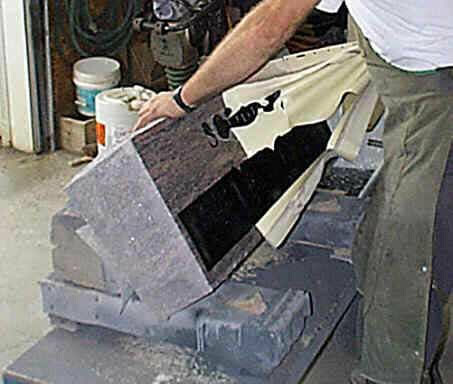 Every monument created by Vancouver Granite Works, Inc. undergoes a rigorous 13 Point Inspection Procedure to ensure the quality of your monument is up to our exacting standards. At each step of our process not only is the accuracy checked but carving depth and width is checked for precision and artistry.We believe our monuments undergo the strictest quality control program you will find at any monument company. And of course, we believe so strongly in this, that we stand behind each monument with our exclusive warranty.